Celebrity Cruises president and CEO Lisa Lutoff-Perlo was the winner of CLIA’s Lifetime Achievement Award in 2019. The award was conferred in the Hall of Fame awards ceremony. Lutoff-Perlo becomes the second consecutive woman to win the CLIA Lifetime Achievement award. Royal Caribbean International senior vice president of sales, trade support and services Vicki Freed won the award in 2018. As per Richard Fain, chairman of Celebrity parent company Royal Caribbean Cruises Ltd, Lisa has done an amazing job of leading the Celebrity brand to new heights. Kelly Craighead, president and CEO of CLIA said “The Hall of Fame winners have proven themselves as some of the most forward‐thinking thought leaders in the cruise industry, and every nominee is a great reflection on the industry as a whole”. The award acknowledges the hard work and dedication of each of the recognized individuals. Lutoff-Perlo, became president and CEO of Celebrity in 2014. 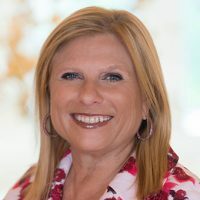 Prior to this role, Lutoff-Perlo was executive vice president of operations for Royal Caribbean International, overseeing several critical areas, including marine and hotel operations. She led the launch team for Royal Caribbean’s Quantum-class ships and spearheaded the development of the third and fourth Oasis-class ships, before taking on similar responsibilities as Celebrity developed the first of its new Edge-class ships, which debuted last fall.